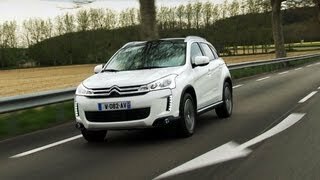 During this year's Geneva Auto Show Citroen revealed their first SUV, the Citroen C4 Aircross 2012. The C4 Aircross boasts with a perfect combination between the capabilities of an off-roader and theride of a saloon car. Furthermore the C4 promises to be one of the best SUVs on the market in terms of CO2 emissions. 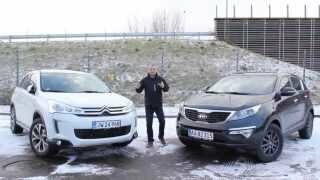 Let's take a look at what the Citroen C4 Aircross 2012 has to offer from a technicalstandpoint. Under the hood the Citroen C4 Aircross 2012 comes in three variants when it comes to the engine, and the engines themselves are those found in the Peugeot 4008. The Citroen C4 will offer one gas engineand two diesel engines. The gas engine will be a 1.6 liter engine producing 116 horsepower, and will befound only on the European variants of the Citroen C4 Aircross 2012. 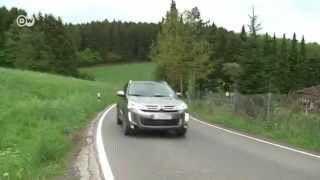 Besides the gas engine the Citroen C4 Aircross 2012 will come with a 1.6 HDi diesel engine delivering 112 horsepower and a 1.8 liter HDi engine developing 150 horsepower. Unlike the gas engine, the dieselvariants will be made available in Europe as well as other countries outside Europe. Transmission-wise, the gas engine will be paired up with a five-speed manual gearbox whilst the dieselengines will be mated with a six-speed manual transmission. 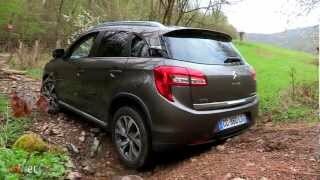 Also, depending on the engine variant, the Citroen C4 Aircross 2012 will come as a two-wheel drive or a four-wheel drive SUV. 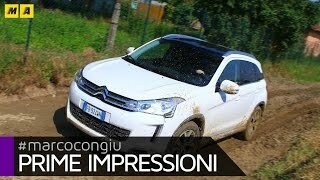 Performances aside the Citroen C4 Aircross 2012 offers a stylish exterior that combines many designelements found in other Citroen cars. The front end of the car looks quite techy and offers vertical LEDs,and aerodynamic vents. The Citroen C4 Aircross also comes with a set of 18 inch set of wheels, widewheel arches and a rear end designed with the Hypnos concept in mind. On the interior the Citroen C4 Aircross 2012 offers five seats, a 442 liter boot, LED illumination, GPSnavigation with touch-screen, USB and Bluetooth connectivity, reverse camera, and whilst the speciallydeveloped chassis and suspension offers the driver the maneuverability of a sedan, the passengers canenjoy an open-feel due to the large panoramic glass sunroof. As far as availability and pricing goes the Citroen C4 Aircross 2012 is expected to hit the SUV market in Europe during the second half of 2012 wearing a price tag of roughly £22,000 for the base model. In caseyou're looking for a similar SUV but you're not really keen of the Citroen C4 Aircross, you might give the Ford Kuga a try.